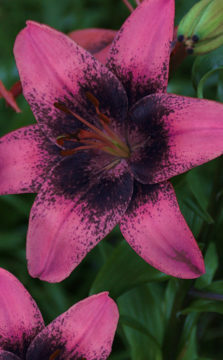 The new Lotus Lily® series is the eye-catcher of the more than 183 special garden lily varieties from the various lily groups grown by Lily Company B.V that we offer this year. The Lotus Lily® series consists for the time being of the white Lotus Beauty, the pink Lotus Breeze, the dark pink Lotus Dream, the striking pink with white heart Lotus Elegance, the light pink Lotus Queen and the purple pink Lotus Wonder. 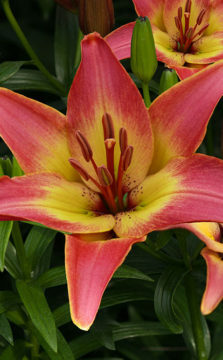 Are you interested in our wide range of garden lilies? Then we are looking forward to see you in our show greenhouse! 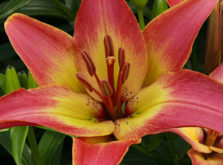 Avalon Sunset, Child in Time, Fields of Gold, Hotel California, November Rain, Sunset Boulevard and Viva la Vida, which were introduced last year, will also be in bloom again this year during the Dutch Lily Days. In addition to these new species, we pay extra attention to the successful, previously introduced, bicolour pink and yellow Asian lily Forever Summer. Some varieties from our assortment can already be delivered in August. For more information about the available cultivars, you can request an account on our site to view our catalog.